Aspiring magazine editor, graphic designer in training, small business owner –– whoever you are, design is an essential part of your marketing. Without formal design training, it can be daunting to want to take a stab at putting together a publication. We’ve put together a quick and simple guide on Adobe InDesign to help make the process a little easier. For this tutorial, we’re using Adobe InDesign CC 2018. The first thing you’ll need to do is set up your document. You can always add more pages later, but if you know how many, you can input them here. You’ll also want to change your document size using your necessary measurements. Use the Units menu to choose Inches, Pixels and more. If you are preparing a document to be printed, marks are needed to help the printer determine where to trim the pages. The bleed is parts of images, objects or text that extend past the page’s boundary to account for any trimming inaccuracies. The slug is the area outside the page and bleed that contains any printer instructions or other job information. You can set these up when creating your document under the Bleed and Slug menu. The purple/pink guidelines in your document are where the bleed starts. You can expect that, if printing, these may be trimmed. To make life easier, you can choose for your objects to snap to guides you create. You can use the Grids and Guides menu under View to show the document’s grid, lock your guides, snap to guides and more. These will assist you with simple design. The toolbar consists of all of your basic tool needs. When hovering over each tool, you can find their names and shortcuts. This toolbar includes the following, with the tools bolded that you will likely use most. 1. Selection Tool – use your mouse to drag objects around, select, etc. 2. Direct Selection Tool – select anchor points of an object to move them around individually. 3. 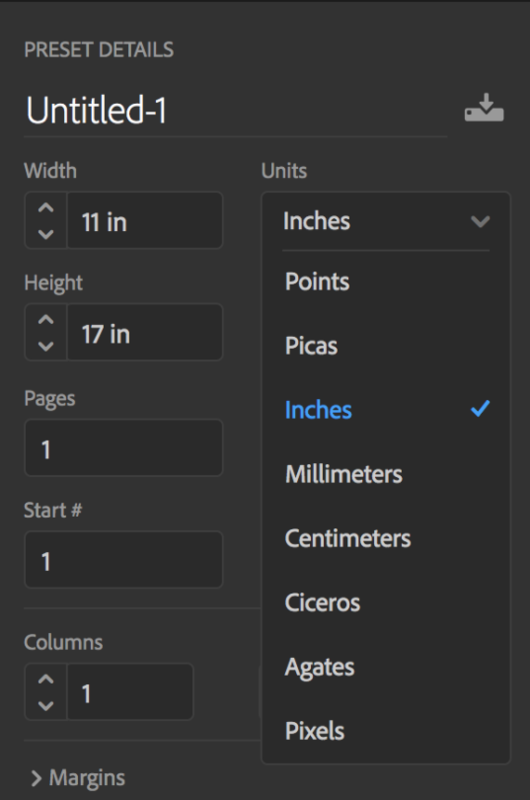 Page Tool – helps when working with multiple page sizes in one document. 4. Gap Tool – change the size of objects without affecting the size of the space between. 5. Content Collector Tool – pick up items and place them elsewhere in the document or another document. 6. Text Tool – create text in your document. 7. Line Tool – create lines in your document. 8. Pen Tool – create shapes using anchor points. 9. Pencil Tool – draw free-form shapes. 10. Rectangle Frame Tool – create frames to drop images into. 11. Rectangle Tool – create shapes filled by color. 12. Scissors Tool – cut/slice shapes and lines. 13. Free Transform Tool – move, rotate, scale, shear objects. 14. Gradient Swatch Tool – add a gradient to your object. 15. Gradient Feather Tool – a more transparent gradient tool. 16. Note Tool – create notes and assign tasks on your layout. 17. Color Theme Tool – create and use swatches for your document’s color theme. 18. Hand Tool – a “grabber” to move around the document. 19. 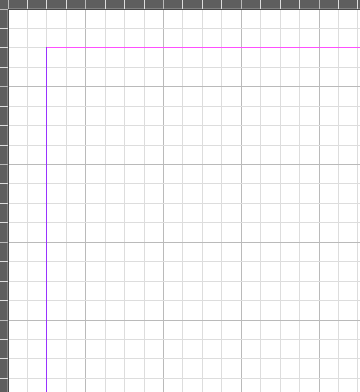 Zoom Tool – zoom in on a part of your document. The two swatches underneath are your fill and stroke swatches, one for filling inside an object and one for lining the outside of an object. Ready to get started on your snazzy new document with Adobe InDesign? Upload it to Issuu and tweet us @issuu! can the script, the actual letters be of different colours, like in L I K E as word l to be yellow or green , I to be red or maybe purple, depends on the emotion at the moment, K to be black or shade of grey, E to be green always or java, how this sound ? will your templates open in CS5 InDesign? Also, I have MSOffice 2008- will your templates work there?